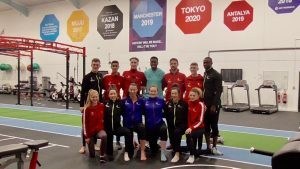 Four teenagers are among five GB Taekwondo fighters chosen to make their senior World Championship debuts alongside big hitters, Bianca Walkden, Jade Jones and Mahama Cho in Manchester next month. 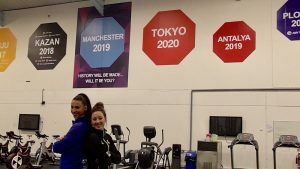 Three of the quartet, Aaliyah Powell (Huddersfield), Jordyn Smith (Falkirk) and Rebecca McGowan (Dumbarton), have succeeded previously at world age group level and won’t be overawed by the task ahead in Manchester from May 15-19, 2019. The trio plus Mason Yarrow and Maddison Moore, 24, are part of a 15-strong squad set to be roared on by a partisan Mancunian crowd at Manchester Arena. 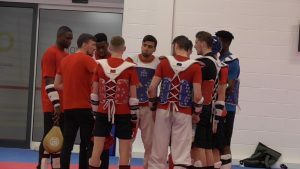 It’s the first time the World Championships have been hosted in the UK with GB Taekwondo fighters looking to better their record tally of five medals at the 2017 tournament held in Muju, South Korea. “The squad is a great combination of experienced, in-form, new and developing athletes, all super excited to be taking part in a historic World Championships in their own back yard,” said Performance Director Gary Hall. “We believe we have a strong squad to do it justice. If they all hit form it should be a great championship for GB Taekwondo. “We have a target of three to five medals and we feel we are capable of winning three to five. “But make no mistake, despite the Olympic Games being the pinnacle of this sport, the World Championships are so difficult to win because it is stacked with depth and quality. For Liverpool heavyweight Walkden, it’s chance to win three successive World gold medals while double Olympic champion Jones, still awaits her first after silver eight years ago and bronze in 2017. There has never been a British male world champion though Damon Sansum (-80kg) holds silver and bronze while heavyweight Cho finished runner-up in South Korea two years ago. Bradly Sinden from Doncaster (-68kg) is unbeaten in 2019 and is more than capable of improving upon his World bronze medal from 2017. Lutalo Muhammad, twice an Olympic medallist, has fought sparingly in the past 12 months and is still getting to grips with his step up to the -87kg weight division. However, the 27-year-old Londoner usually reserves his best displays for the big events and the desire to add a first World Championship medal to his collection will spur him on. Yorkshire prospect Mason Yarrow is the only member of the eight-strong men’s squad making his senior Worlds debut, competing at -54kg. However, Liverpool’s Josh Calland, who made his bow in Chelyabinsk four years ago at -58kg is selected again, this time at -63kg. In the women’s squad Scottish prospect Smith was a Cadet World Championship medallist in 2015 and then three years later stood on top of the podium at the Junior World Championships in Hammamet. Moore is a bronze medallist at the 2019 US Open while Powell, a 2018 Junior World Championship gold medallist, and Scottish heavyweight, Rebecca McGowan, are also included at senior level for the first time. The Dumbarton teenager, narrowly missing a medal at the World Grand Slam, produced a series of outstanding results to capture the US Open title in Las Vegas last March. Completing the women’s squad is Welsh star Lauren Williams, twice junior world champion and while still only 20, one of the favourites in the -67kg weight division. The ferocious fighter has already won the President’s Cup title in Antalya this year and last December became only the second GB fighter to capture the World Grand Slam title and £54,000 first prize. From 15th-19th May 2019 the UK will play host to the World Taekwondo Championships for the very first time! 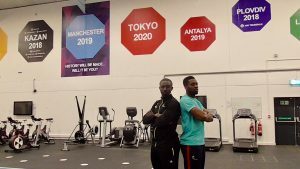 It’s set to be biggest International Taekwondo competition that Britain has seen as the world’s best athletes once again come together to compete, over 5 days, for the World Championship title and valuable ranking point for the Tokyo 2020 Olympics. British Taekwondo would like to congratulate all 16 competitors for being selected to represent the GB Team and we wish them all the best of luck! We also have a message to our membership from our -87kg hopeful Lutalo Muhammad with just 30 Days to go! !